CWNN News: TKO (total knockout) Gemma Ray live at the Lexington! TKO (total knockout) Gemma Ray live at the Lexington! 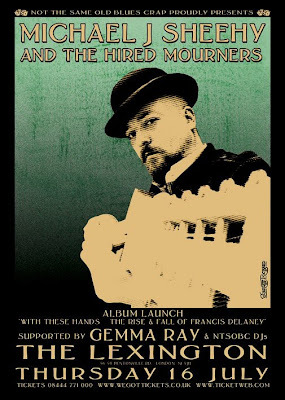 Gemma Ray is sure to pack a punch while supporting Michael J Sheehy and The Hired Mourners for the release of their new boxing themed album. Michael J Sheehy and Gemma Ray, Gemma's gorgeous voice graces 'Frankie My Darling' on Michael's new album and Michael masterfully co-produced Gemma's brilliant debut 'The Leader' and her majestic new album 'Lights Out Zoltar!'. This show will allow a very lucky UK audience a chance to check out a live full-band preview of the glorious 'Lights Out Zoltar! '.